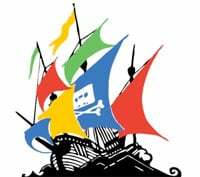 Sites such as isoHunt, KickAssTorrents and Extratorrent are often characterized as lawless piracy havens that disregard the rights of content creators. But is this really the case? Not according to the site owners who say they are no different from Google. All the BitTorrent sites contacted by TorrentFreak say they remove content when they're notified, with the number of requests processed ranging from just a handful to 1,680 per day. TorrentFreak asked several of the most popular BitTorrent sites (and top DMCA targets on Google) about their takedown policies. Although they differ quite a bit in terms of the number of requests they receive per day, they all remove copyright infringing links on a daily basis. With 1,680 takedown requests per day, BitSnoop is the most-targeted site. Since December last year they complied with 363,956 requests. The top DMCA sender is Nate Glass from takedownpiracy.com. ExtraTorrent receives between 20 and 30 requests per day and approximately 3,000 links are removed every month. The response time to process DMCA requests varies from a few hours to three days according to ExtraTorrent’s administrator. KickAssTorrents also deleted thousands of torrents every month, and this number is rising rapidly. In May KAT removed 19,005 torrent files, up from 7,604 in January. Inspired by Google, the site is currently working on a detailed web-interface where the public can view takedown statistics. “We are very serious about removing copyrighted content following DMCA requests. We have staff who review and process all incoming requests. On working days the processing time of these requests never takes longer than several hours,” KickAssTorrents’ owners told TorrentFreak. isoHunt receive relatively few DMCA notices considering the size of the site. The site’s founder, Gary Fung, told TorrentFreak that they receive about eight requests per day. Since the site started, isoHunt has responded to 18,000 individual notices emailed by copyright holders. Fung notes that the volume of takedown requests has increased over the years but that they always respond within five working days. This responsiveness is often met with surprise by the senders. “With the hundreds if not thousands of copyright holders we’ve talked to, some have even come back to say thanks and commented that we aren’t what they expected, in terms of answering with their wishes and speed of our takedowns,” Fung told us. isoHunt’s founder further emphasizes that they are no different from Google when it comes to respecting the DMCA. Google previously distanced itself from isoHunt and other torrent search engines, but Fung disagrees. Many other BitTorrent site operators share Fung’s opinion on this matter. While BitTorrent sites may link to relatively more copyrighted content than Google, they comply with the same takedown requests. In this regard it’s ineffective for copyright holders to ask Google to censor isoHunt, BitSnoop, KickAssTorrents and Extratorrent links. But perhaps that’s too easy?